At XgenPlus, we pride ourselves for being an All-In-One Enterprise Email Solution for businesses of all sizes. In the past years, we’ve continuously strived to provide our customers with better and more robust email management tools and we’re glad that our hard work did not go unnoticed. 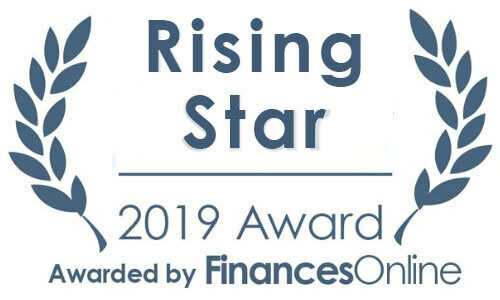 Just recently, FinancesOnline, a platform for SaaS reviews, granted us their esteemed Rising Star Award for 2019 because of our stellar performance on the market. Rising Star Award by Finance online is a very prestigious award. The award is intended to recognize an emerging leader in Email Management Software industry. Finances Online explains Rising Star Award is given to SaaS products that only recently appeared on the Finances Online market, which have quickly received great traction with the customers and are viewed as a service that’s profoundly efficient. In order to answer–what is XgenPlus?–the experts at FinancesOnline thoroughly tested our product against industry benchmarks. After much deliberation, they concluded that XgenPlus stands out from its competition because of its ability to centralize business communications and unify collaboration among team members. Their experts also pointed out how our Advanced Anti-Spam Technology is great for those who want to protect their company inbox from spams, phishing attacks, or other threats. 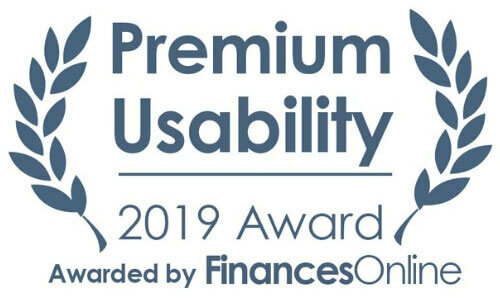 FinancesOnline also granted us the Premium Usability Award for 2019. This title is given to SaaS software solutions that have an intuitive yet simple-to-navigate interface and have made it easy for users to implement the platform into their day-to-day operations. Premium Usability recognition is granted to products that offer exceptionally good user experience. FinanesOnline evaluates how easy it is to start using the product and how well-designed its interface and features are. FinancesOnline is a free platform that lets you find the best B2B & SaaS solutions. Read detailed online reviews prepared by industry experts. Each year we help millions of users compare products, find customer reviews and reports from experts to easily choose a solution that will let your company grow. To read the full review, visit the FinancesOnline website today. Don’t forget to leave your own user review if you’ve had a chance to use our product. We are more than happy to take your comments and suggestions into consideration as we further improve our email management solution.